There are a lot of people who have a hard time even speaking the words ‘self care’ let alone trying to practice on themselves. Seriously they are not dirty words, nor do they have anything to do with being or acting selfish. We are programmed to believe that if we utter the word self it instantly implies that perhaps we are egocentric and self-seeking. The Ego thrives on the words ‘me and I’. But learning how to take good custody of who we are not only physically but emotionally has nothing to do with the Ego at times, it has everything to do with our Soul. We come into this life experience with a built in tool box full of high quality essential tools. All of these tools are unique to us and they provide us with everything we need to get on in this World in a happy and healthy way. Not only do our flesh and bones flourish with self care, but the spiritual part of who we are blossoms and develops as well. If we neglect to implement our built in tools into our everyday life, things will go wrong. We might feel unwell and develop an illness, we never like to smile, we feel powerless and we loose our sense of worth and respect. We may experience anger, resentment, jealousy and a feeling of unhappiness, all of these symptoms are a result of not honouring ourself when we need to. Tapping into your inner tool box takes courage, but when you are the one at stake allow courage to be your guide. Intuitively if you feel something is wrong in your life, then rest be sured it is. 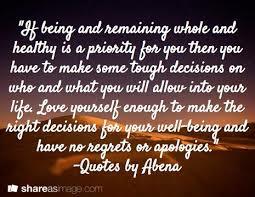 Only you can make the changes that you need to make to take care of ‘you’. Learn to speak your truth, say exactly what you mean and be confident in what you say. Don’t be a people pleaser, this can be a life long sentence if you allow it and will deplete your energy to zero. Never speak bad about yourself, self sabotage is not self care. Don’t be afraid to say ‘no’. Don’t ever be afraid to say ‘yes’ to the good stuff that comes your way, you deserve it. Be kind to yourself, number one rule. Let go of what is out of your control, this usually involves drama. Drama is the number one killer of the Spirit, don’t let it touch or get near yours. Negativity is second in line, anyone or anything negative in your life needs your attention immediately, step away from anything negative in your life, for the good of yourself. LOVE, love yourself completely, you came to this Earth as you are, a beautiful divine Soul. What goes on in your head, all of that constant and insistent noise is only the conditioning of your mind, it is not who you are authentically. Wake up and smile, first and foremost, because a smile can cure the worse of anything if you trust it.